Bridgewater, NJ — Brandywine Living at Middlebrook Crossing is proud to have partnered with the Pajama Program this holiday season by hosting a Pajama and Book Drive to benefit children in need throughout New Jersey. The Pajama Program is devoted to providing children in unfortunate circumstances a loving bedtime and restful good night as the start of a positive, empowering good day. 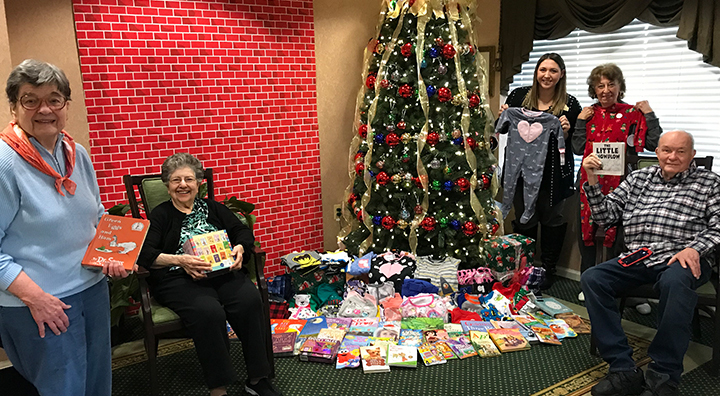 “With the help of families, employees and local area professionals, we are proud to announce that we have collected 65 books and 30 pairs of pajamas for vulnerable children throughout New Jersey! Middlebrook Crossing will remain a drop off location for the Pajama Program throughout the year, so feel free to drop off donations any time,” commented Nicole Luciano, Director of Community Relations. Brandywine Living at Middlebrook Crossing looks forward to continuing its efforts to support local children in need. Pajamas and books may be dropped off any day of the week at 2005 US-22, Bridgewater, NJ 08807. For questions or directions, please call (732) 868-8181.